***NEW ARRIVAL*** BMW X6 xDrive35i... M Sport, Premium, Lighting, Cold Weather Package, Like NEW!! 1-OWNER... M SPORT... Like NEW Condition!! 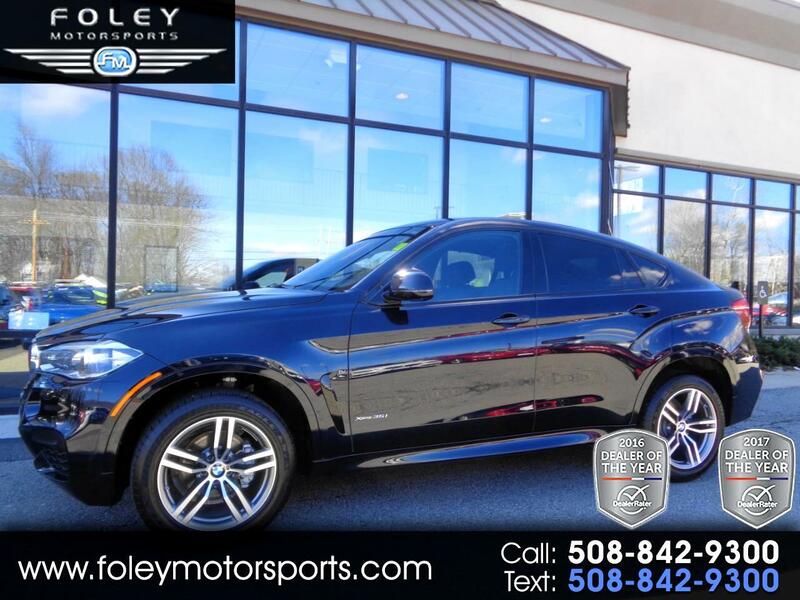 2016 BMW X6 xDrive35i Sport Utility... Carbon Black Metallic on Black Dakota Leather... 300hp 3.0L I6 F DOHC 24V Turbocharged Engine... ALL Wheel Drive... AUTOMATIC Transmission... ONLY 45,683 Miles!! LOADED with PREMIUM Package... M SPORT Package... COLD WEATHER Package... DRIVER ASSISTANCE Package... LIGHTING Package Adaptive w LED Headlights... HEAD UP Display... POWER Sunroof... HARMAN KARDON Surround Sound... Rearview CAMERA... PARK DISTANCE Control... 19'' ALLOY Wheels... BLUETOOTH Hands-Free... POWER Liftgate and much more!! LOOKS and Drives Like NEW!! CAR FAX Certified 1-OWNER Vehicle with BMW Bumper to Bumper Warranty Coverage Included!! Please feel free to contact our experienced sales team with ANY questions or to schedule a test drive. Buy with confidence from the area LEADER in Pre-Owned LUXURY. Additional 5 Year/100K Extended Warranty Coverage Available. ALL of our vehicles are meticulously detailed and serviced by our factory trained certified technicians. Call or email us at sales@rjfoley.com **$0 Down** 100% financing available with great rates! Trades are always welcome. National and International shipping quotes are available.